Next thing I was wanting to do was finalise my vinyl setup. 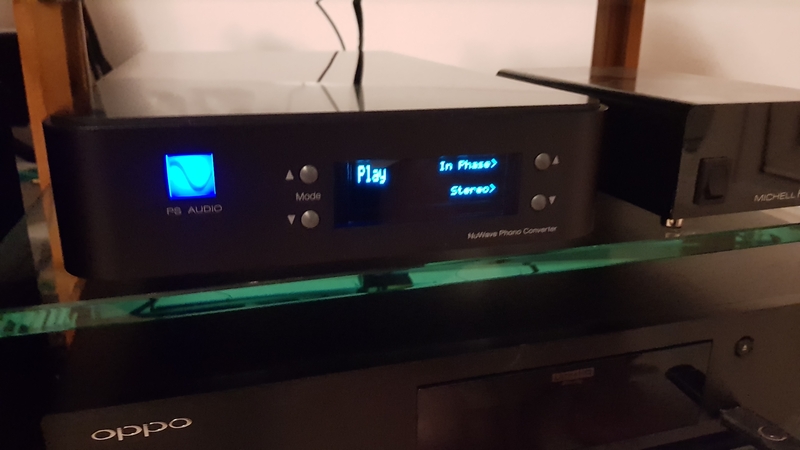 My Dac has two i2s inputs, one of which was being used by the Oppo bluray player. Why is this relevant to a phonostage? I sold the Firebottle phonostage here on AOS and put the proceeds towards a rather unique (I think) product from, again, PS Audio. They stopped production of these, but with my matching dac it was a no brainer to try and pick one up. Was lucky enough to get one from the last shipment sent to the UK, phew! Heavy solid thing, about the width of a Cyrus box but half the height. 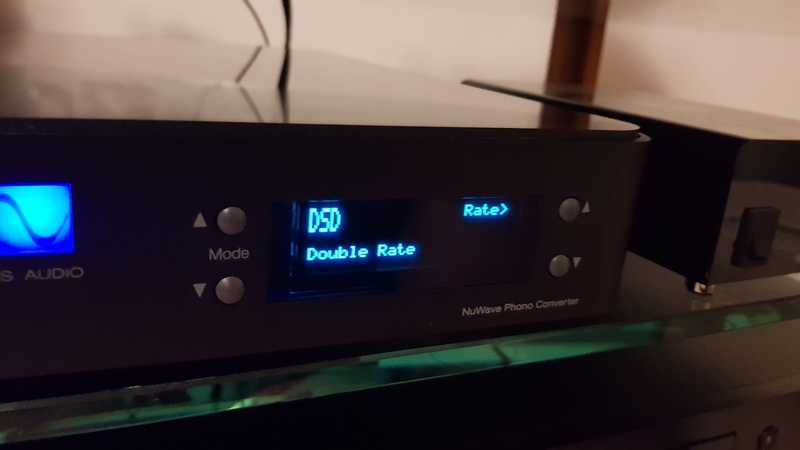 As well as the normal analogue out to your amp it can convert your analogue to digital 'on the fly' and send it to the Dac from it's digital outputs. 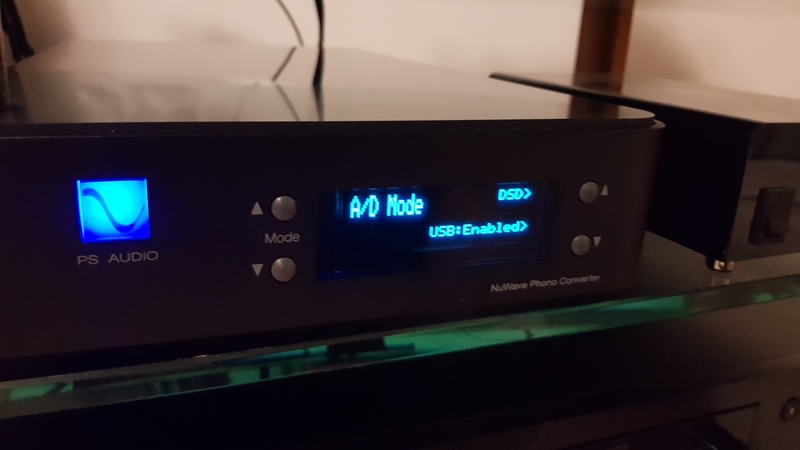 In my case I take advantage of the i2s connection as my dac has the matching input. You'll notice it has a set of Phono inputs AND a second analogue input? That means anything you plug into it, FM Tuner, cassette deck or even a Reel to Reel, can be digitised and sent to the Dac, OR (from the USB output) sent to your laptop/pc as a digital file copy. You have a lot of control over the digital side of things through its menu system, where you can output the digital as 24/192 PCM or single/double rate DSD. So double rate DSD file copies of your records, nice. PS Audio recommends 24/96, but haven't had a chance to play with this feature yet. Set playback to mono/stereo and flip the phase, for those odd recordings that don't sound right to you. Theres other things in the menu, like adjust brightness, check firmware version, set display timeout and some other stuff. 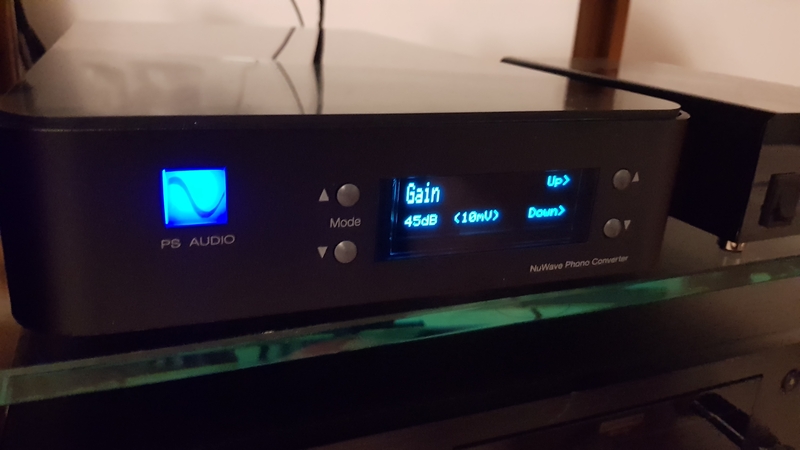 One thing I'd like to be able to do is dim the PS Audio logo like you can do with the dac, its very bright! 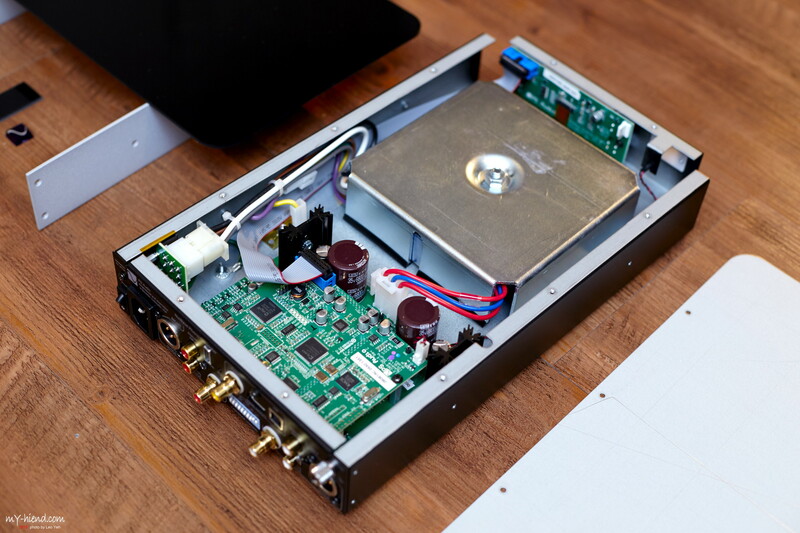 Sits quite neat next to the turntables PSU and under the deck itself, matches the Dac of course. Chuffed I was able to get one before they were gone for good, don't see them up for grabs 2nd hand much. 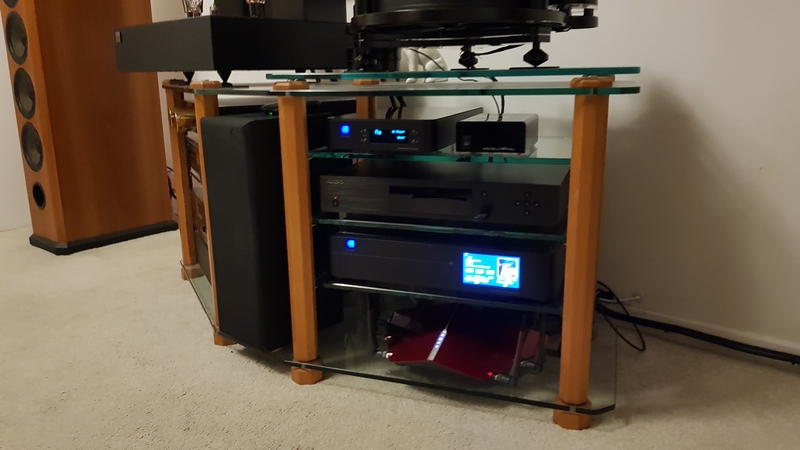 A no brainer with the i2s connection to the dac, (which sounds really really good) as well as the facility to digitise my LP collection, which is a project I'll get into when I have the time. Its well reviewed too, so don't need to look elsewhere and can call vinyl done. Last edited by Gazjam; 02-01-2019 at 17:34.
watch out for all the responses from die-hard valve/phono fans? If you want to reduce the glare, cut out a square of cellophane -or similar - to cover the sign? 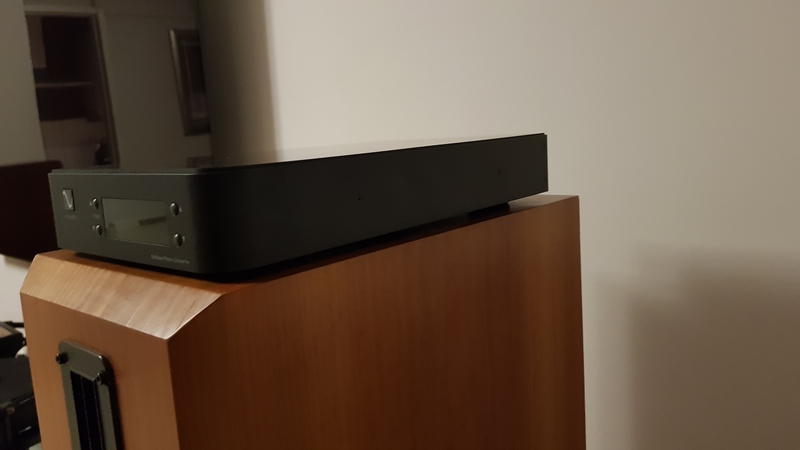 ..... and bought a PS Audio Directstream, great sounding bit of kit and unusual in that it runs from an FPGA, not a traditional Dac chip. Now that is a brilliant choice Gaz, another manufacturer going down the FPGA route with unique software and filtering. Buy a Bel Canto, at least they have two SPDIF inputs. Be getting the Scottish Mafia (and honorary members) in for a get together when the last of the upgrades are in place. Be good to meet you Alan. Last edited by Gazjam; 03-01-2019 at 16:58. They've been around for years. I've still got a Kenwood one from back when I had a brief flirtation with Laserdisc. 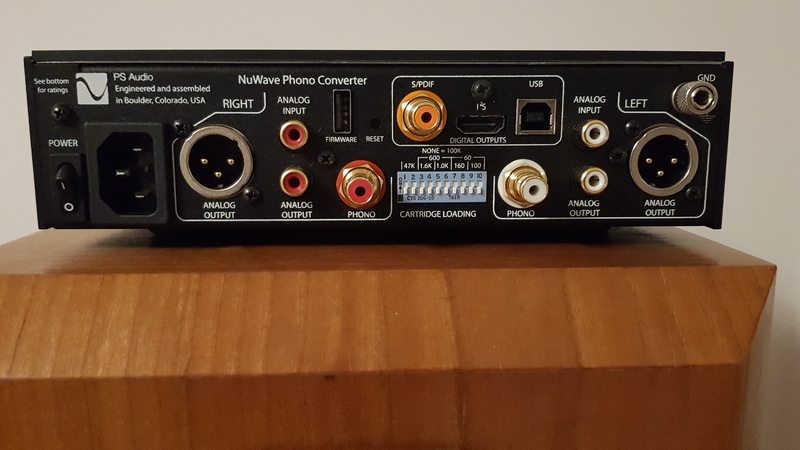 If you did not want to digitise your turntable signal would I be correct in assuming your turntable interconnect would go in the phono rca's and out to your amp would be with those balanced outputs? I have heard PS Audio at a show, was very impressed and would have loved to hear their monos in isolation.